Explore the history of nautical tattoos in an exhibition featuring 19th and 20th century tattoo photographs, tools, equipment, vintage flash designs, advertisements, and more. The items on display relate the long history of European and American explorers and naval and merchant sailors who picked up the custom from indigenous peoples during their voyages, helping lead to the wide-spread tattoo practice of today. 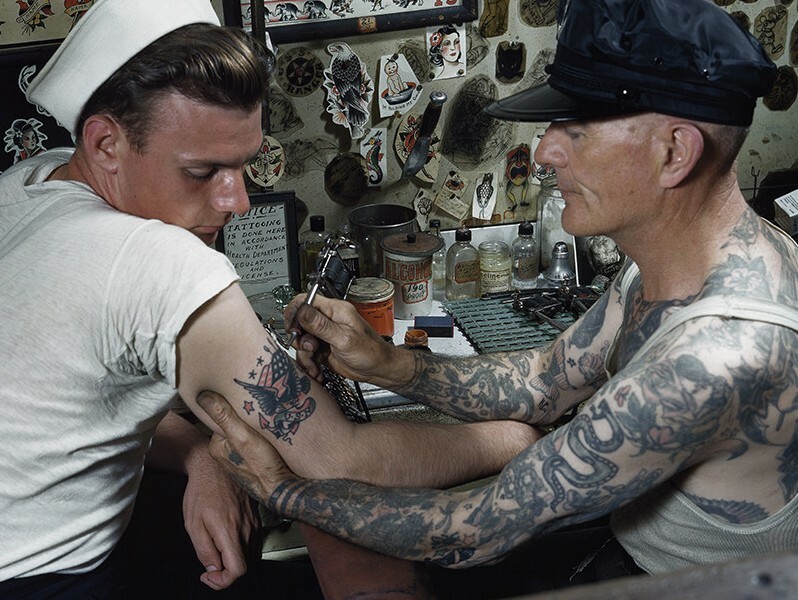 Tattoos were, and continue to be, an important part of sailors' lives with deeply personal meanings to those who wear them.